The protein known as Nrf2 plays a key role in the health of the cells. When Nrf2 is exposed to threats, oscillates quickly and triggers an increase in the defense mechanism of the cell, including increased levels of antioxidants. 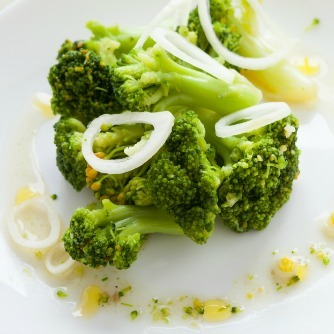 Paul Thornalley, University of Warwick (UK) and colleagues have found that sulforaphane found in broccoli, and quercetin found in onions, can increase the movement Nrf2. Observing a continuous cycle of movement Nrf2, which sees the swing of proteins in and out of the cell nucleus once every 129 minutes, the team found that sulforaphane and quercetin accelerated the cycle up to 80 minutes. The researchers conclude that: "We found that the refresh of the cytoplasmic Nrf2 is important to maintain and regulate the transcriptional response to stress and colleague increased surveillance cytoplasm. Our goal now is to develop new food supplements / foods can stimulate the activity of Nrf2 and thus counteract the aging of the organism. "